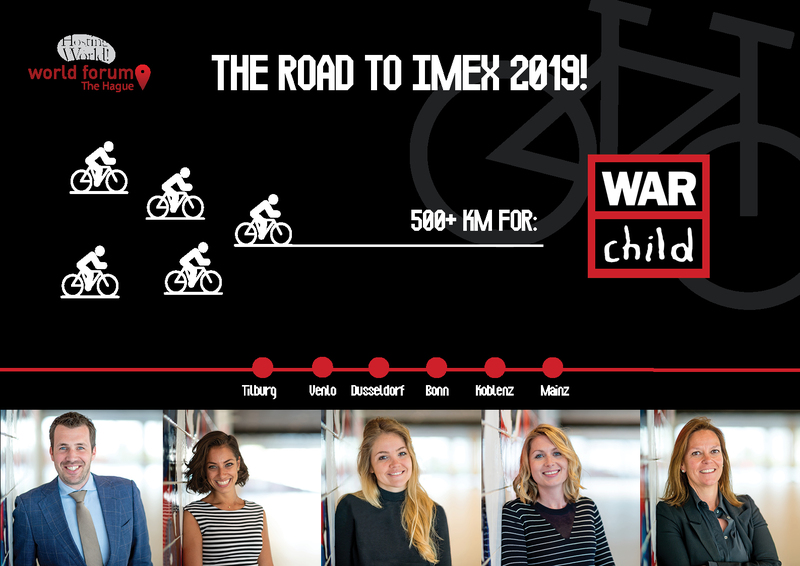 From May 13 to May 20, a dedicated team consisting of World Forum team members will cycle more than 500 kilometers from World Forum The Hague to IMEX in Frankfurt, Germany. This is a campaign related to vitality, a unique team effort, our worldwide reputation of being a 'bike-country' and our (inter)national status of being a convention center in the city of 'Peace & Justice'. This is for our Business Friend War Child, the charity that we support in building a safer world for all. World Forum The Hague - Hosting the World > Works for a safer world! Mention the person you support or leave a message for the entire team!